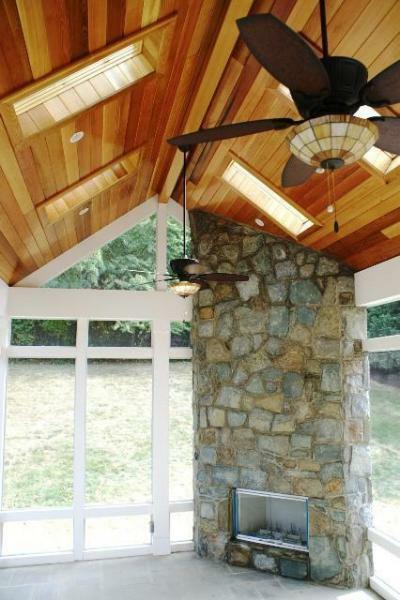 This custom fireplace is big on style and has plenty of radius for entertaining by the firelight. 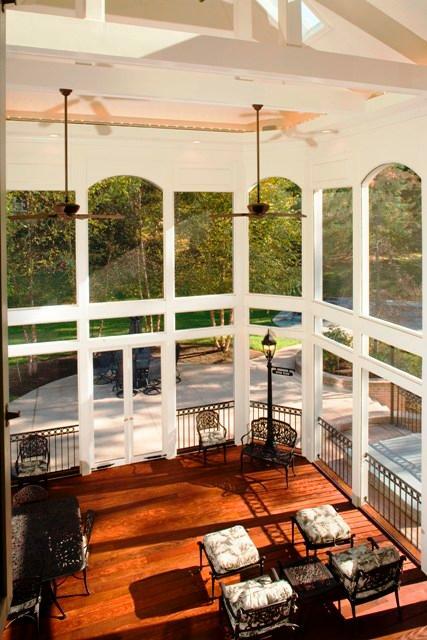 This screened porch by Archadeck of Maryland incorporates a beautiful stone fireplace in its design. An outdoor fireplace makes a statement within the landscape, or when used in conjunction with another outdoor structure such as on a patio or even a covered porch. The fireplace offers a more intimate setting to its users with a typical 90 degree radius of room for entertaining, or to gather around the structure. Outdoor fireplaces require the use of many elements such as design, position, stonework, masonry, gas and plumbing. An experienced licensed builder can assist you in making many of the decisions, but there are many options available with today’s fireplace that can make a simple fireplace an amazing fireplace. From customized mantel pieces, to compartments custom-built within the fireplace to store wood and accessories. 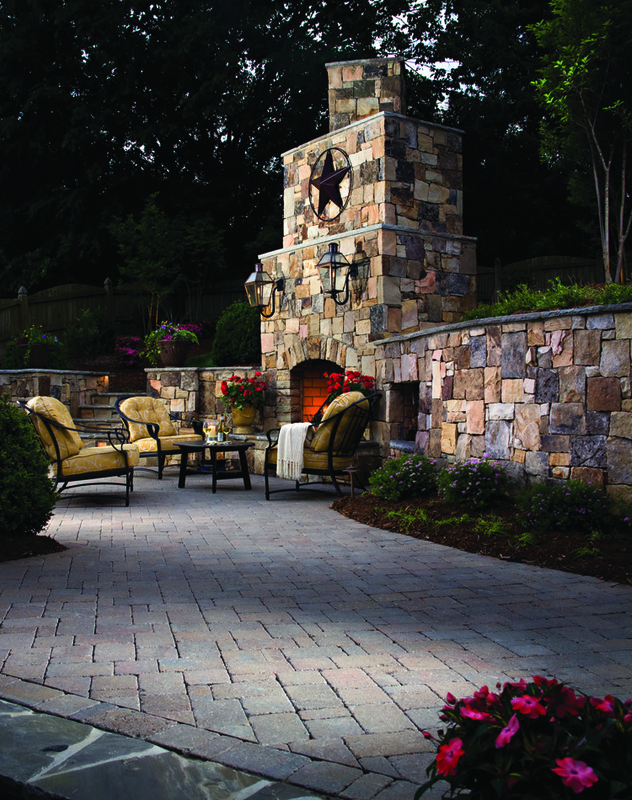 Fireplaces can be built in all shapes and sizes and in a variety of beautiful hardscape mediums such as brick, natural stone, and man-made hardscaping materials such as those offered through Belgard. The source of the fire itself can be obtained through gas or propane with a ceramic log that looks like real wood without the messy cleanup , or in some cases a wood burning fireplace may be your best option. Your fireplace design is only limited to your imagination, whether you choose a modern streamlined fireplace with no hearth, or a rustic beauty of natural stone, an outdoor fireplace can really heat up the conversation and the intimacy when entertaining, as a focal point of beauty and relaxation. This fire pit by Archadeck of Fort Worth makes for unforgettable evenings among family and friends. Custom fire pits have become a work of art within the world of outdoor structures in their own rite as well. A fire pit can offer you that same ethereal glow and ambiance , and can lend itself to dazzle a larger crowd. 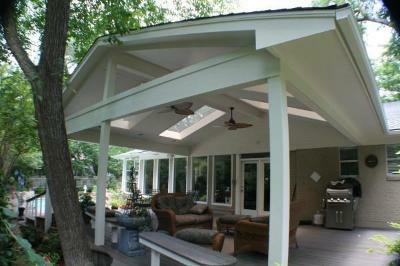 Fire pits offer a typical radius area of 180 degrees for entertaining and enjoyment. The addition of a ledge can add seating and a vantage point to enjoy the glow of the fire without having to purchase additional furniture. Fire pits can also be constructed with a large selection of materials, much like the fireplace but can also serve double and even triple jobs that can change from season to season. A fire pit can be easily equipped with a drain which makes it possible to be used as a planter during the summer. 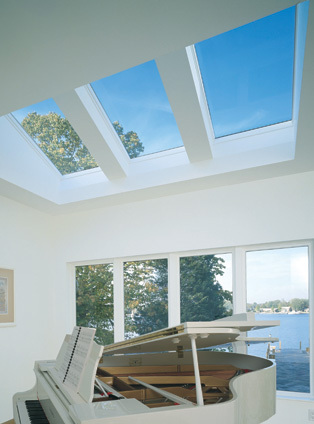 It can even serve as a tranquil water feature as long as there is an exterior outlet nearby. 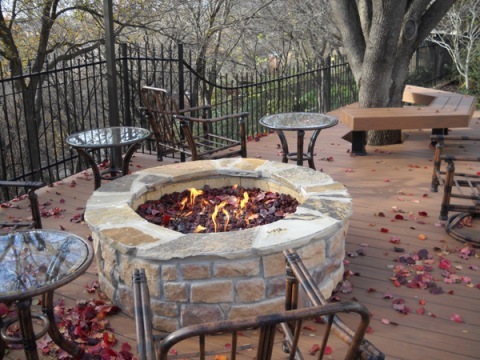 Archadeck of Austin wrote a story about a homeowner who created an “all season” structure with her fire pit, you can read the story by visiting http://austindeckandpatiobuilder.com/2011/03/14/a-flame-of-many-colors-a-fire-pit-with-multiple-personalities-integrated-into-the-design/ Custom fire pits can also be equipped with a dazzling array of glowing glass fire rocks that come in a wide variety of colors. Fire pits that are powered by gas can even have a gas star installed where the flame is emitted in a unique star pattern. This unique custom fire pit by Archadeck of Austin, is a chameleon in its ability to transform each season.